Lionel Messi could be on his way to Manchester next year, with his father and City owners in talks over a potential transfer. Messi’s father, Jorge Messi, and Manchester City’s director of football, Txiki Begiristain, have talked about a possible move for the Argentine superstar. 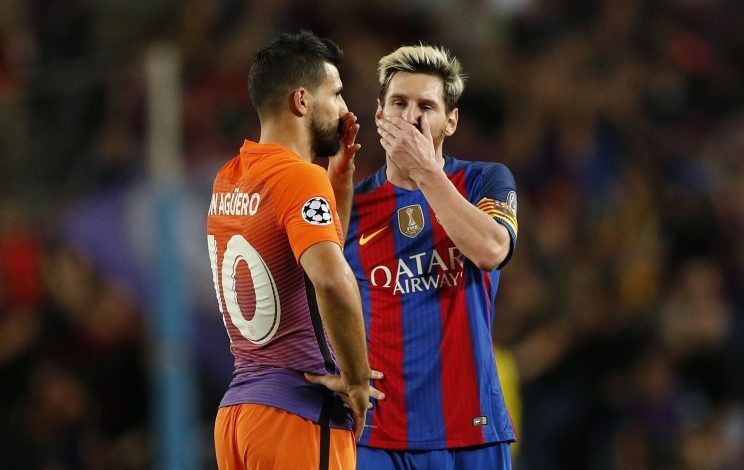 According to SunSport, the two sat down recently to discuss Messi’s future, where Txiki made a strong case for Manchester City. Barcelona have offered Messi an extension, but the 30-year-old has decided to stall the negotiations, as he waits to access his options. The Argentine might opt to leave Barcelona for free at the end of his contract next year, more so because of the current situation at the Catalan outfit, where senior players like Andres Iniesta have also expressed their concerns in public. The Spanish giants are already in shock after Neymar’s exit from Camp Nou, which is why they can’t afford to lose Messi at any cost. It is believed that Messi is waiting for Barcelona to conclude their summer business before making up his mind about his future. Meanwhile, Barca are trying their best to recruit quality players to strengthen the team, and satisfy Messi’s expectations. However, if Messi decides to move for free, Manchester City are ready on their haunches to grab the player on the first opportunity. The Citizens are expected to be Messi’s first choice because of the ex-Barcelona staff working at the Etihad.